Thinking of Australia, most people link this country to Sydney, Melbourne, the Great Barrier Reef and the Ayers Rock. 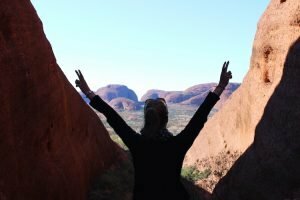 However, the latter is often left out when traveling Australia, especially when time is short. The most common reason is the remote location as well as the laborious travel to this destination. It takes ages by car and inland flights are extremely expensive. 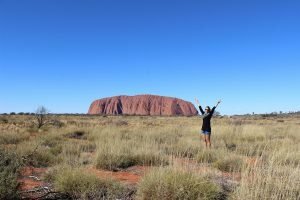 That’s why I almost hadn’t done this trip either but as many friends told me how amazing the Australian Outback around the Ayers Rock is, I spontaneously booked a tour. Let me tell you in advance: it’s been the best decision I could have made. 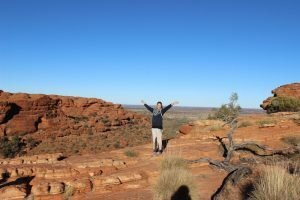 These three days in the Australian Outback have been one of the most amazing – maybe even the most amazing – days of my whole journey through Australia. 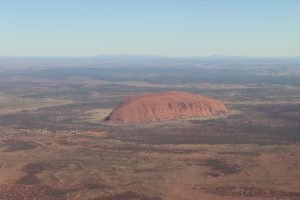 The flight alone from Brisbane to Ayers Rock has been an unforgettable experience. 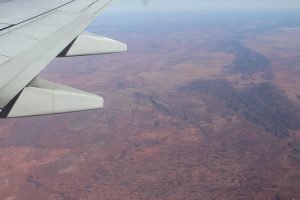 We flew for ages over the Australian Outback. 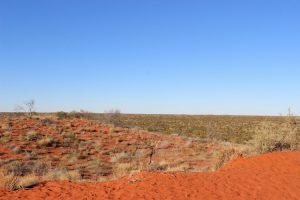 Flat land with red colored soil and some green bushes in between – that’s all you see for several hours of flight. The land has an infinite width which is absolutely fascinating. Suddenly, just completely out of nothing, the majestic Ayers Rock appeared. I still remember this moment of surprise, excitement and fascination. From the airport I got welcomed by my tour guide. At this point, I would like to mention that I’m actually not a fan of organized tours. 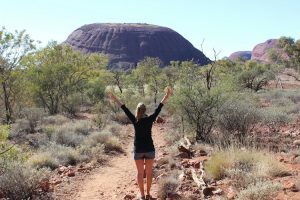 However, I really wanted to learn something about the culture, religion and history of the Aborigines who have lived around the Ayers Rock. 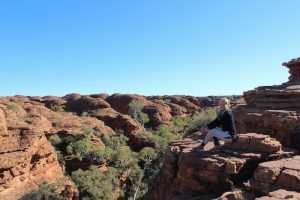 As I only had three days in the Outback, I also wanted to explore as much as possible. That’s why I had decided to do an individual tour with a small group of people. 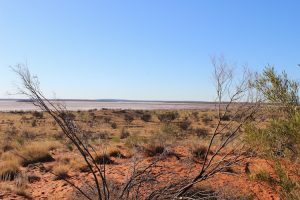 Our tour guide has lived in the Australian Outback for several years and has studied the natural environment and geography of the Outback as well as the history and culture of the Aborigines. He even had the chance to spend some months with Aborigines in their reserve. That’s why he could tell us amazing and very interesting stories and facts. 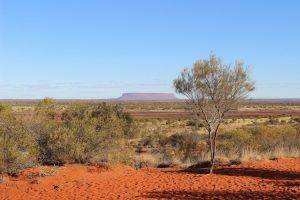 After the arrival of all ten group members we started our tour with the visit of probably the most famous attraction of the Outback: The Ayers Rock. 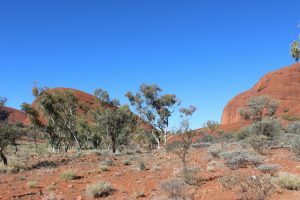 This rock is called “Uluru” in the language of the Aborigines and has a very special meaning to them. This is why you shouldn’t climb this rock although it’s possible. 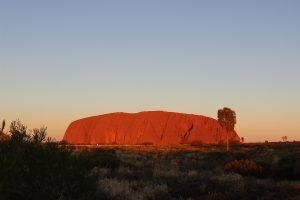 My opinion is though that you should respect this place and its important meaning to the indigenous people which means not to climb the rock. 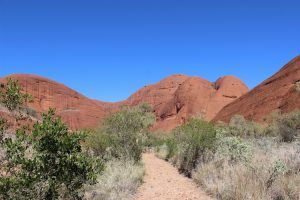 As an alternative, there is a really great walk around Uluru which is definitely worth doing. On the way, you pass a Cultural Center where you can marvel impressive exhibits of the culture and history of the Aborigines. As well, you can buy beautiful hand-made crafts from Aborigines. Those art pieces are absolutely gorgeous! 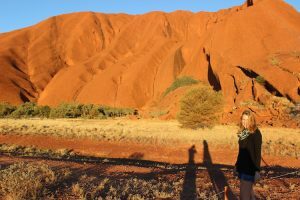 In the evening, we went to the “Sunset Viewing Area” where you have the greatest view of Uluru and the sunset. 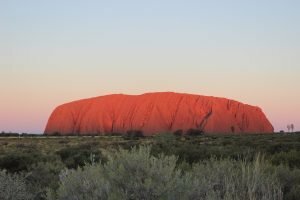 The setting sun puts a breathtaking light onto the red rock and illuminates Uluru in a stunning sanguine. It’s absolutely spectacular and definitely something you shouldn’t miss. The night, we spent in a “Swag”. No, that’s not this modern youth word but a combination of a pillow, a mattress and a sleeping bag. We laid under the starry sky around a bonfire and watched the sky. I could see the bright milky way and countless stars. It was absolutely breathtaking – something I will always remember. The next morning started before sunrise. 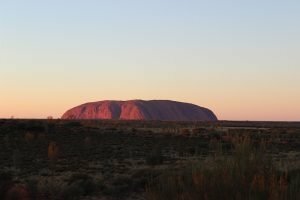 We walked to a viewing platform from where we had a great view of Uluru and the sunrise. 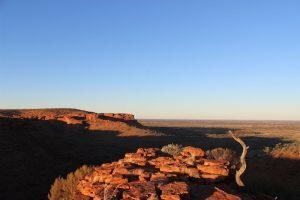 It’s so beautiful how the sun colors the Outback with its first sunrays and brings everything to life again. 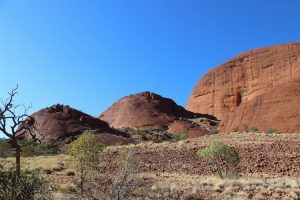 Then, our tour led us to Kata Tjuta which is a red mountain range close to Uluru. 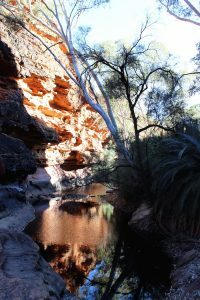 There is a great hike where you can explore the Outback a bit more with all its plants, animals and sceneries. 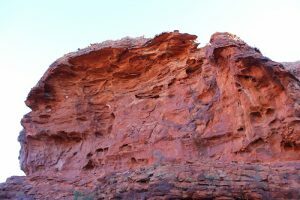 I especially liked the contrast between the red of the rocks, the green of the plants and the blue of the sky. It’s really gorgeous. 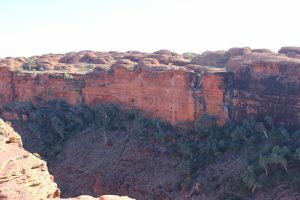 After this great hike, we headed to a camping ground close to Kings Canyon. It took five hours by bus to go there but the drive was amazing. We spotted wild camels (they were freed after there had been no use for them anymore), wild horses, a huge eagle and many colorful parrots. We also did several stops to enjoy the stunning landscape. The next morning, we hiked through the Kings Canyon National park which offers absolutely stunning sceneries. From the National park we went to Alice Springs from where I took the plane back to Brisbane. 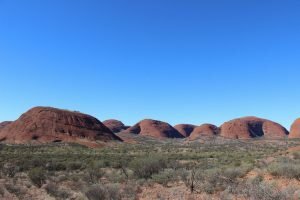 Although, I only had three days to spend in the Outback, it has been absolutely worth it. This place is one of the most fascinating places I’ve ever been to. I will definitely never forget all the great experiences and impressions I’ve made. 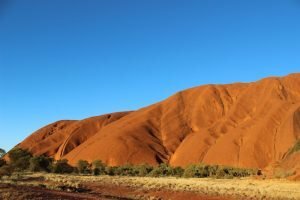 So if you’re in Australia one day, don’t forget to visit the Australian Outback around Uluru. I’m sure you won’t regret it. 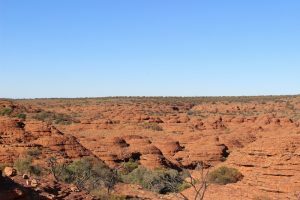 Have you ever been to the Australian Outback or do you have plans to go? I’m happy to read your comments about your experiences, impressions or questions.